In the contents of this blog, there is a section labeled "Beck's false claims." It's quite long. The majority of these false claims cannot be claimed by a critic as being lies because, for a statement to be a lie, the speaker has to know that it is not true. Otherwise, a false claim can be a misstatement of facts born of ignorance of the facts. 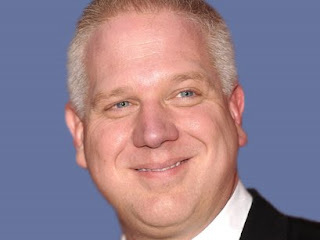 Although many of Beck's false claims are more likely born of his ignorance about history, politics and religion, sometimes it is clear that Glenn Beck knows what he's claiming is not true, that he knows he is lying. The following is a list, then, that will be updated as warranted, of Glenn Beck's known lies (not to be confused with the more innocent ignorant claims). Despite being the “only media organization” at the Students for Liberty conference, “they pissed all over us,” Beck claimed of his company’s experience at ISFLC. But, actually, no. There was a presence from Mediaite, Reason, The Daily Caller, The Washington Examiner, National Review, and The American Conservative, among others. TheBlaze was far from the only media outlet covering the event. Beck did not go to this event, so it's possible that he was making up facts again, or the person he sent, "John," did not tell Beck the truth. Or Beck was lying again. Beck falsely claimed that he held Washington's inaugural address in his hands during his Washington Mall speech in 2010 after first claiming "Our sacred honor. It means that you tell the truth. The whole truth and nothing but the truth." The progressive Mother Jones Magazine caught this "whopper." Beck lied when he claimed that he "wrote" his slogan for the Blaze, his online "newspaper." Ironically, the slogan is "The truth has no agenda." The conservative Daily Caller caught this lie. Beck lied about how an interaction with Barbara Walter and Whoopie Goldberg on an Amtrak train took place. Reported to this Review by a former "addict" of Mr. Beck. Beck lied last year when he claimed that he never edited video of President Obama. Three different bloggers, including this Review, caught that deceitful edit which took Obama's words completely out of context. For years Beck lied about his mother's death and a nonexistent suicide note. This lie was uncovered by a private investigator looking into Beck's past. Beck lied about George Soros having helped the Nazis confiscate land. This lie was exposed by The Young Turks' Cenk Urgur. During an online rant against Media Matters, Beck lied about the number of viewers he had that week. This lie was uncovered by this Review. Beck lied when he declared that the operation that killed bin Laden "contradicted every bit of foreign policy, everything [Obama has] ever advocated." Beck had to have not watched the presidential debates of 2008 to make that false claim. No doubt readers can come up with other examples of Glenn Beck making claims that he knew or had to know were not true. Just as likely, readers can find people online or around town that support him, who are unwilling or unable to acknowledge what is proven here beyond a shadow of a doubt, namely that Glenn Beck is not an honest man. Ergo, using Beck's "logic," he has no honor either, sacred or otherwise. Update, May 14, 2013: Yesterday Beck called for a Special Council to pursue impeachment of the President over Benghazi and the IRS scandal where they targeted conservative groups for extra scrutiny in their 501 (c) 4 status. Beck said, "I have not suggested that anything rises to ... the level of impeachment...There's documentation on this. I believe it is time for the American people to demand that a Special Council is appointed ..." Got that? Except Beck only recently did suggest just that. On April 19th Beck said, "when America knows the full story on this [Saudi student, Abdul Rahman Ali Alharbi] if she doesn't stand up, and quite honestly and demand impeachment and a mass firing ...we don't stand a chance." Update, Sept. 6, 2013: In a NY Times Magazine interview published online today, Beck claimed, "I didn’t call for Obama’s impeachment." That is another bold-faced lie. He did so on April 19th of this year as well as on May 13th (see above).